Frisky Crash........ . Wallpaper and background images in the Crash Bandicoot club tagged: bandicoot crash !!! !!!!!!. 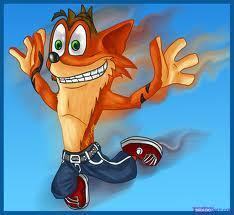 mot-clé: bandicoot, crash, !! !, !!!!!! This Crash Bandicoot photo might contain anime, bande dessinée, manga, and dessin animé.